35 years after the launch of the original Walkman, Sony has brought back the series with the introduction of the Sony Walkman NW-ZX1 Hi-res digital audio player (DAP). There are some newer DAPs released by Sony like the NW-ZX2 or NW-ZX100 but the ZX1 is still the most attractive option of the lineup. The player is not officially available in the US but you can easily buy an imported one from Japan. Despite being a niche product, the ZX1 has gained a lot of attention and sold very well in its home country. Let’s check it out. 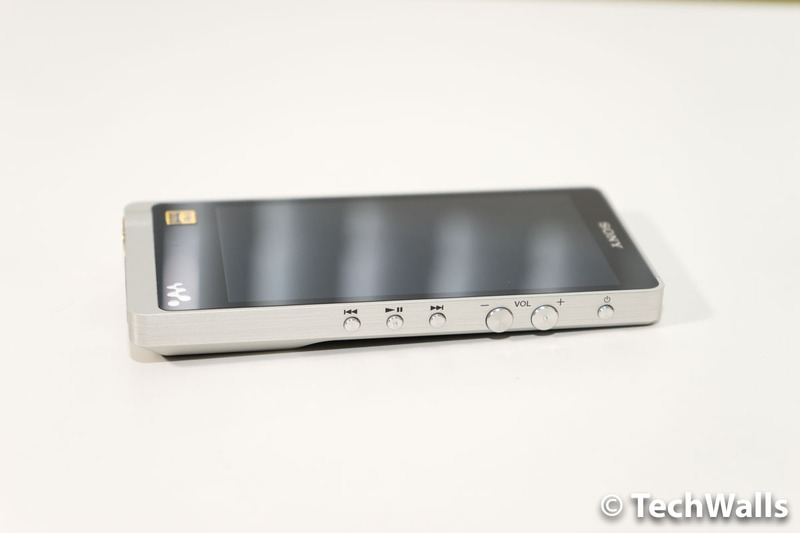 I must admit I loved the Sony Walkman NW-ZX1 even before powering it on. This is probably the most beautiful piece of hardware I’ve ever owned. It features a touchscreen on the front, just like smartphones or some other DAPs. However, it stands out of the crowd, thanks to the superb design. 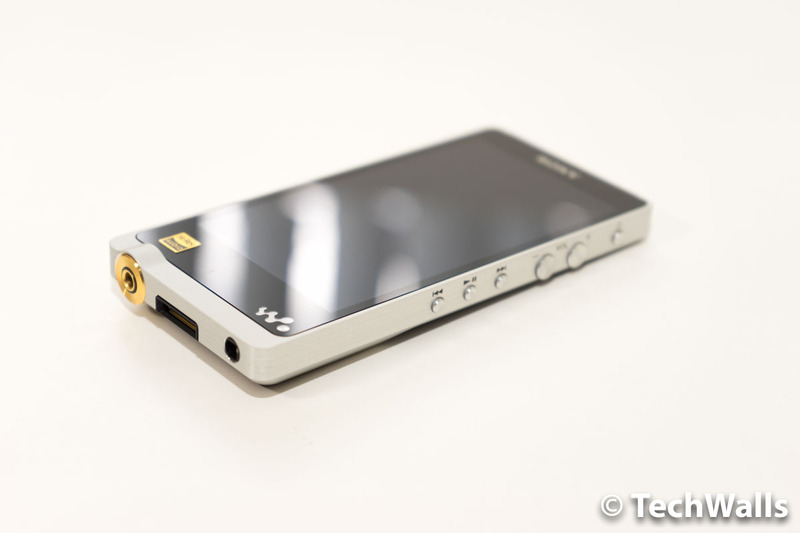 I’m wondering why Sony didn’t bring this design to their Sony Xperia lineup. The ZX1 is obviously heavier and bigger than the Apple iPod Touch, but its size is actually quite manageable as compared to other high-end music players. I owned some other DAPs including the FiiO X5 and iBasso DX90, but they look so dull when standing next to the ZX1. Flip the device and you will see a gorgeous pleather back panel. The Walkman logo on the back is actually its built-in speaker. Besides, there is a hump on the bottom third to accommodate a DAC and amplifier. This is what makes the device different, and I also find it quite comfortable to grip. The whole chassis is made from one piece of metal, so I believe Sony had to spend more to manufacture the ZX1. It really looks and feels like a luxury gadget. I love that Sony equips all control buttons on the right side of the device. The circular buttons become more elegant in a design with flat sides and chamfered edges. The buttons include a power button, volume rocker, play/pause, skip next and skip back buttons. The bottom side of the ZX1 is so interesting as the connections are placed here. You can see a huge gold-plated 3.5mm headphone port, a charging port, and a lanyard loop. The headphone port is so appealing and it urges me to plug in my headphones and enjoy the music. 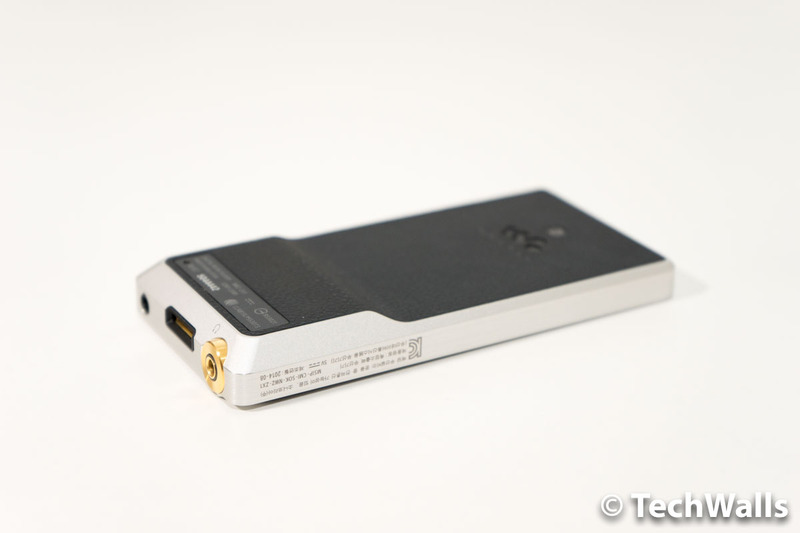 I just hate that Sony doesn’t use the widely popular microUSB port for this device, it uses the WM-PORT jack instead. This is obviously more difficult and expensive to fix the proprietary port or replace the included USB cable. 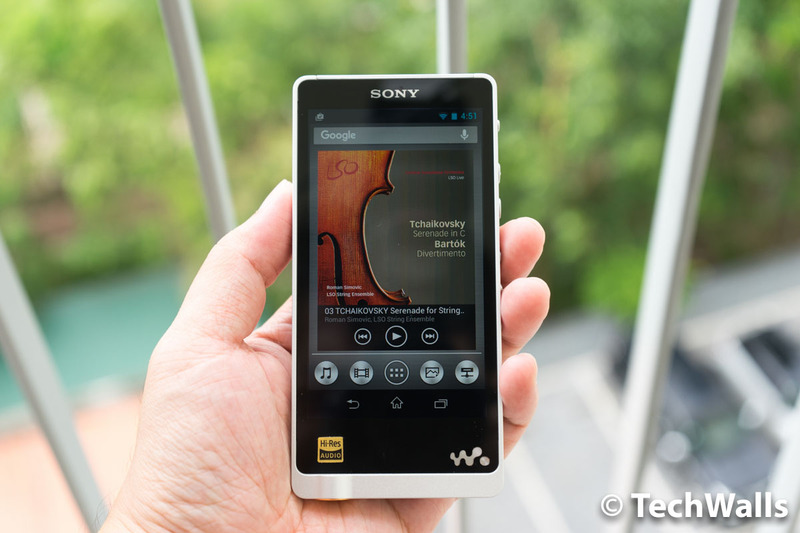 The ZX1 is not simply a lossless music player. It is powered by Android 4.1, that means you can install any app or game on Google Play Store. There is no camera, so you can’t take pictures or videos with this device. It’s quite disappointing that Sony hasn’t upgraded the firmware since 2015. 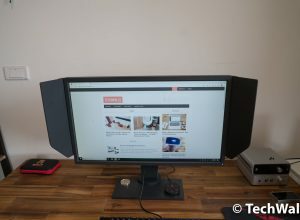 The touchscreen helps me navigate around easier and find a specific song quicker, I even don’t need to connect to my computer to download music tracks. Although the TFT color 4-inch display has a low resolution of 854 x 480, it is good enough to see song names, lyrics or album covers clearly. Many people complained about the lack of expandable memory storage on this DAP. Sony decided to equip the ZX1 with 128GB of internal storage and remove the memory card slot. This could be a deal breaker for many audiophiles, but I don’t mind at all because my whole lossless music collection takes up just 36GB at the moment. It would take me a long time to fill up the space. Another impressive feature of the ZX1 is its battery life. The battery is rated at 32 hours of continuous music playback, and a full charge will take less than 3 hours. The number is quite amazing but my device couldn’t last that long in real-life experience. To get close to 25 hours, I often have to turn off Wi-Fi and Bluetooth completely, leave the screen off most of the time, and power off the ZX1 each time I finish a listening session. Notably, you can pair the ZX1 with any wireless headphones via Bluetooth, however, I don’t recommend you to use Bluetooth if you are looking for the best music experience. The DAP doesn’t feature AptX, so the streaming quality can be underwhelming. The Walkman does not only look great but also sound great. Sony uses its own DAC and pairs it with the S-Master HX Digital Amplifier. The Amp is capable of driving headphones with high impedance, so there is no need to buy an external Amp and add extra bulk to your DAP. 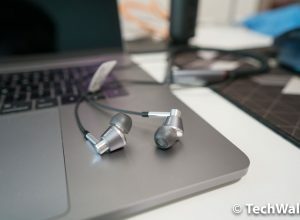 I used the ZX1 with my Master & Dynamic MH30, Beyerdynamic T51i and HiFiMan HE-400i planar magnetic headphones, either of the combinations performs extremely well. 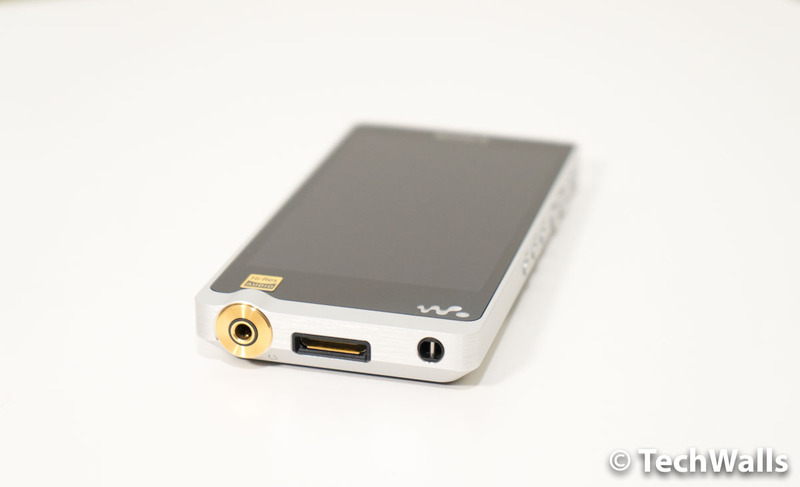 The device can play lossless FLAC, WAV, AIFF, MP3, AAC, ALAC etc. at up to 24-bit 192kHz. 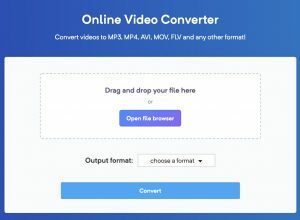 The latest update also brings support of the DSD file format, so you should be able to play any lossless file types available at the moment. The ZX1 can drive most headphones, however, you probably still need to buy a portable Amplifier to boost the volume level when pairing it with open-back headphones like the HiFiMan HE-400i. This is because the open-back design leaks a lot of sound to the outside environment. The volume level is loud enough but some people will need more power from the player. 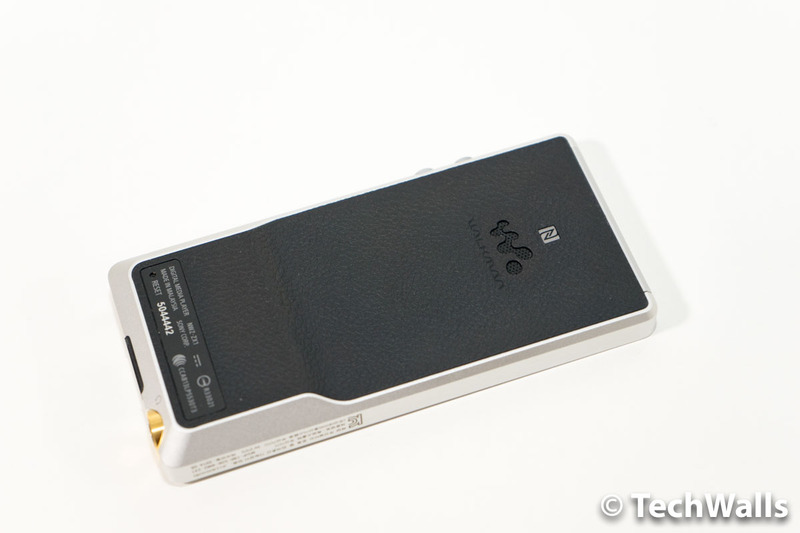 The Sony’s amplifier is obviously not as powerful as the one on my FiiO X5. I often set the volume level at nearly maximum when using it without an Amp. You shouldn’t be worried about this if you are using closed-back headphones. I used the ZX1 with my Master & Dynamic MH30 and they are a perfect match. The DAP makes the bass a little tighter and more importantly, the highs are also clearer and help reveal more details and textures. In terms of audio quality, I believe all users are satisfied with the player. As most recent headphones are heavy in the bass response, the DAP will help create a more balanced sound. 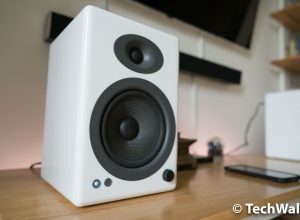 You will get a greater dynamic range, wider soundstage, more details and the noise floor is almost non-existent. Most of the tracks in my collection are 24/96kHz downloads or lower, and they are good enough to deliver a truly exceptional sound via this player. I really enjoyed the Cinema album by Andrea Bocelli, Beethoven’s symphonies and some recent EDM songs. Despite some minor drawbacks, the Sony Walkman NW-ZX1 is still my favorite digital audio player so far because it delivers everything in a small package. You will be able to bring your whole lossless music library anywhere, boast about its awesome design and sonic characteristics. We highly recommend the product. Excellent sound in a gorgeous design, you have it all with the DAP.